Last week LG released a teaser for a new Android smartphone, the LG Optimus VU, which LG has said will come with a 5 inch touchscreen display with a 4:3 aspect ratio. 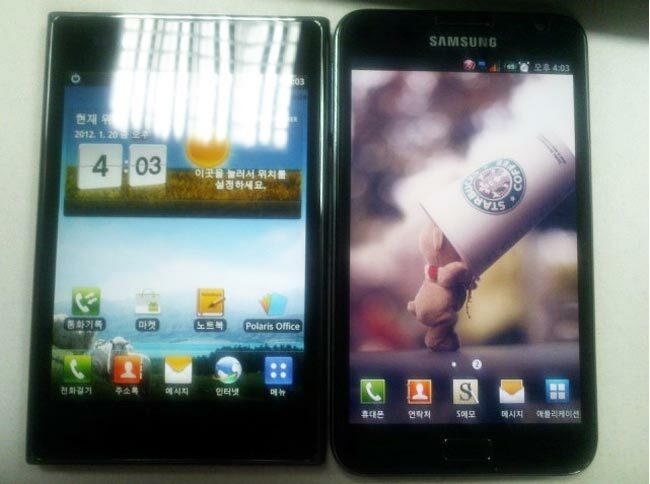 Now we have our first photo of the LG Optimus VU, pictured next to another 5 inch smartphone, the Samsung Galaxy Note, which you can see below. As you can see from the photo, the Optimus Vu display is wider than that of the Samsung Galaxy note, although the device looks slightly smaller than the Galaxy Note overall. We dont as yet have any more specifications on the LG Optimus Vu, what we have heard so far is that the device will come with a dual core 1.5GHz Qualcomm Snapdragon processor, 1GB of RAM and an 8 megapixel camera.